Polonius is an ode to the romance and nostalgia of Rock and Roll. 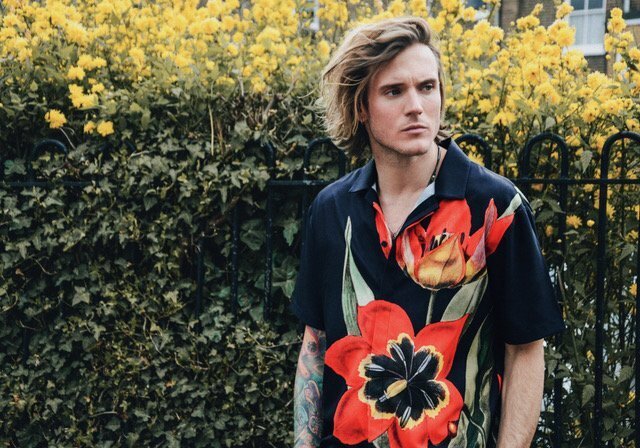 Creative Director, Dougie Poynter is inspired by the meeting of his two great passions; music and acting, and how these two important aspects of his life translated into something more. Stemming from a fascination of how the theatres once used to stage the plays of Shakespeare then became a home to the rock bands of the 60’s and 90’s, Poytner explores the allure and legacy of these liminal spaces and the artists who occupied them. Polonius is a homage to some of those stars. The 20 piece capsule collection features a range of styles, from distressed tees and lurex football-style shirts to sheer frilled shirts and an oversized chenille cardigan. The stand out piece of the collection takes the form of a romantic floral motif cuban-collared shirt, reminiscent of Bad Lurhmann’s ‘Romeo + Juliet’ and 90’s nostalgia. The collection ranges from £45 for a t-shirt and up to £595 for the structured black leather jacket and will be available exclusively at www.iampolonius.com.